Visit the Disposing Trash page for more information about materials that may be delivered to the Frey Farm Landfill (FFLF). Click here for the Lancaster Rate Schedule. We ask for your cooperation when delivering loads to the landfill. Help us protect the environment by tarping and securing your loads to prevent litter from waste deliveries. Not only is this required by all Lancaster County municipalities, but shows courtesy to residents living along roads leading to LCSWMA facilities. Thanks to the Integrated System, only a small percentage of Lancaster and Dauphin County’s waste is sent to the landfill each year. Material delivered consists mostly of inorganic material, like waste-to-energy ash and construction/demolition waste, which produces less gas, odor and litter than a typical landfill. To further reduce litter and odor, waste is covered at the end of each day with ash from the Lancaster Waste-to-Energy and Susquehanna Resource Management Complex facilities, instead of using valuable soil. The landfill is subject to strict regulations and holds the best environmental record of any municipal landfill in Pennsylvania. Watch the video on the right to learn how LCSWMA protects the environment surrounding the landfill. 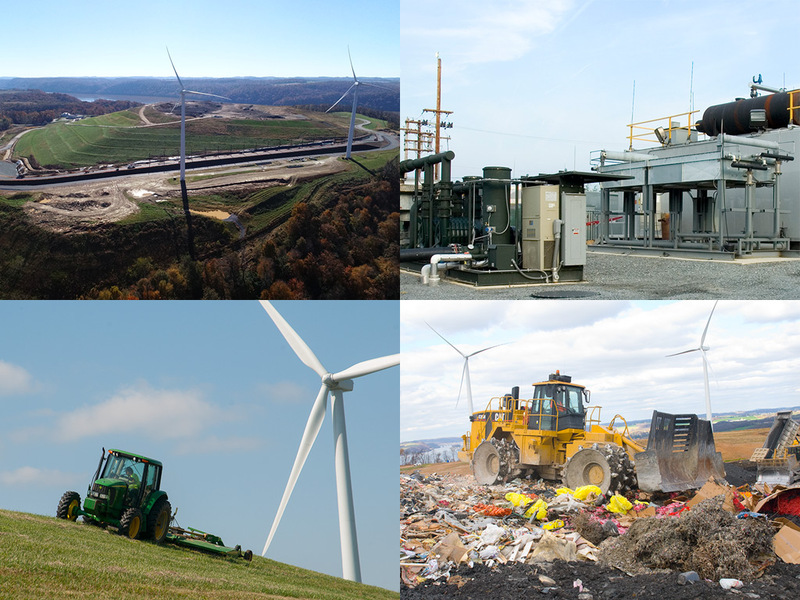 You can also learn about our related Landfill Gas-to-Energy and Solar Energy projects on our Green Energy Portfolio page. Solid waste that cannot be recycled or burned for energy represents the smallest portion generated by area residents and businesses. This waste is delivered to the FFLF, where the best available environmental protection practices and technologies are employed. Located along the Susquehanna River, in Manor Township, the 96-acre FFLF is situated in a mainly agricultural area. Opened in 1989, the site is currently permitted to receive up to 3,000 tons of waste per day and operates 5 ½ days a week. The original FFLF capacity (10.6M cubic yards) was projected to be used by 2019. To ensure future landfill capacity for the Integrated System, LCSWMA constructed a vertical expansion of the FFLF using a mechanically stabilized earthen (MSE) berm. This project added another 6.4M cubic yards of landfill capacity, which is projected to serve the needs of our community for up to 18-20 years.